At the Wheat Ridge and Boulder Chiropractic Offices, Dr. Fraser treats a variety of injuries and disorders including asthma, MS, TMJ dysfunction, headaches, and accident related injuries. He maintains two offices, one in Boulder Community Hospital, where he has staff privileges, and another in Wheat Ridge, Colorado. As an Advanced Proficiency rated Activator practitioner, Dr. Fraser treats both spinal and extremity complaints, such as shoulder, hip, and knee pain. Dr. Fraser received a Diplomate in Acupuncture and Oriental Medicine in 1998 from the NCCAOM and holds a Colorado Acupuncture license. 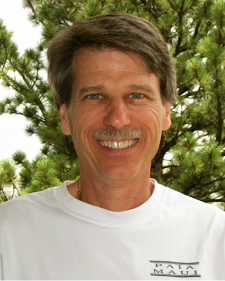 He is a professional member of the Colorado Chiropractic Association and Acupuncture Association of Colorado. Dr. Fraser graduated from the National College of Chiropractic in 1978. Dr. Fraser is always happy to speak to potential patients about their individual healthcare concerns.